Featuring a 100% DEET Formula, the Jackís Juice Bug Barrier 100 delivers up to 10 hours of insect protection with a single application. 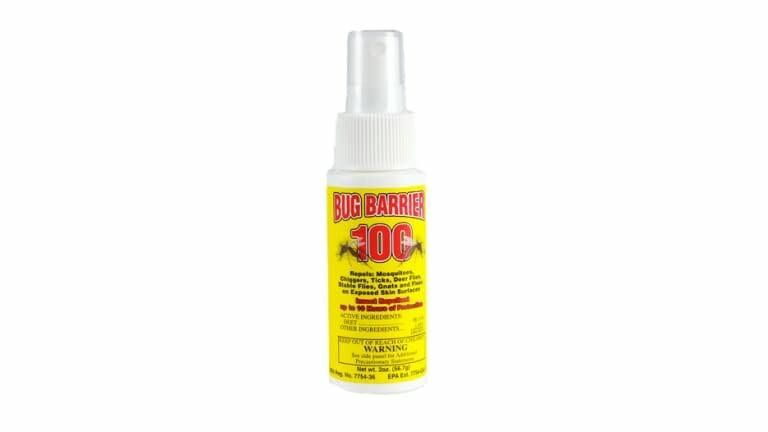 Perfect for those times when the bugs are at their thickest and you need some serious repellant, Jackís Juice Bug Barrier 100 repels ticks, mosquitoes, chiggers, deer flies, gnats, black flies and flees. Also featuring a convenient pump canister for easy application, it helps prevent the spread of West Nile Virus, Lyme Disease and other bug-borne threats.